We have been spectators in this year of turmoil and watched the industry struggle to reinvent itself. Two of The Big Three went bankrupt; one emerged with a global partner, the other became lean and focused. Diesels are now faster than their gasoline counterparts. Nine out of ten EPA mpg champs are hybrids. VW bought Porsche while Porsche was buying VW. Overall sales were millions of units short of expectations. Manufacturers now pin their hopes on the Chinese market, while Americans pray that the Volt is half as good as it needs to be. Somehow, during all of this turmoil Kia became cool. What was once unthinkable has happened. Amidst the mayhem consumer conservatism has redefined value to mean more than MSRP, monthly payments and residuals. Cars had better be good at what they do or people won’t buy them. The industry must meet the new expectation of great cars and real innovation. 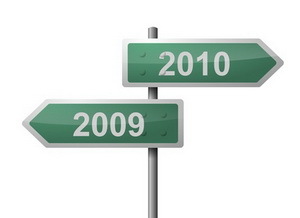 Tricky marketing and trend analysis will not build the product portfolios of the future. 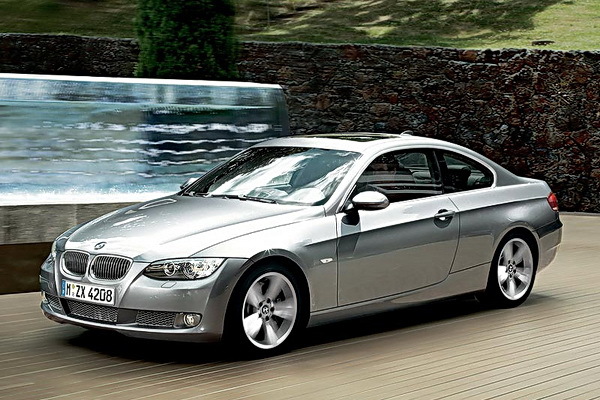 If there is a constant in the automotive universe, it is the BMW 3 series sport coupe. Every year journalists struggle to find a different way to describe its perfect balance and this attempt surmises that the 3 is simply more than the sum of its parts. It is built to touch the driver in all of us. Changes for 2009/2010 are largely cosmetic since so much continues to be right about the coupe, especially when powered by the 335′s turbocharged 3 liter inline six. The standard six speed manual is without peer in its class and its handling makes you question whether you will ever need a sports car. What has changed after all these years is luxury. The 3 series leaves neither driver nor passenger wanting for creature comforts, though rear passengers might whisper a request for more legroom. Infiniti and Audi have raised the bar for cabin quality and with its top drawer materials and exceptional build quality the 3 does not disappoint. Five years into its current design cycle, the 3 will soon need a redesign lest competitors get too close to the mark, but for now BMW can rest on its laurels. Its magic formula remains a secret. 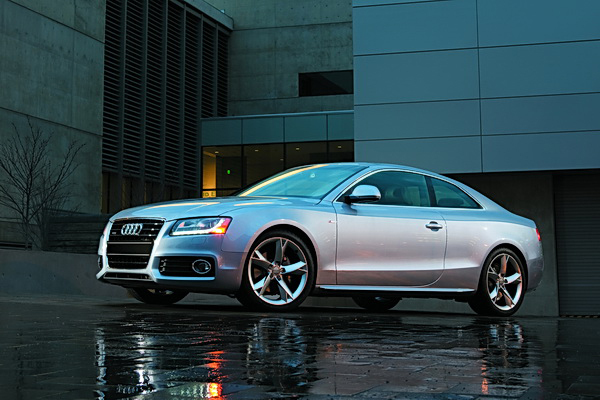 The A5 is the latest addition to Audi’s line-up, having made its debut in 2008. Essentially a 2-door version of the A4 sedan, the A5 brings Audi’s style and performance to the luxury sports coupe segment. For 2010, buyers get a choice of engines: a smooth 3.2 L V6 carried over from last year, or a new 2.0 L turbocharged 4 cylinder engine that offers a robust 254 lb-ft torque. Both engines are available with Audi’s signature Quattro all-wheel drive to make sure that every ounce of thrust gets transferred to the road, and for speed freaks there is always the S5 and its 354 hp 4.2 L V8 engine. 2010 also sees the debut of the A5 and S5 cabriolet models, which feature a cloth top that fully retracts in just 15 seconds. Differentiating characteristics: legendary quattro all-wheel drive handling and grip, smooth 5-cylinder engine, luxurious appointments, and the instantly recognizable LED daytime running lights. In the crowded sport sedan segment the Infiniti G37 embraces what today’s value conscious consumers seek. It is stylish, sporty, luxurious, well made and is offered at a price that makes the Germans and Lexus blush. It does not have the poise of its BMW counterpart or the bank vault feel of Mercedes, but 2009′s upgraded 3.7 litre engine with 328 hp and 269 ft-lbs of torque will quickly pull you away from such nitpicking. 2010′s refreshed cabin design is a study in near-luxury nirvana and will leave you wondering what could possibly be missing. 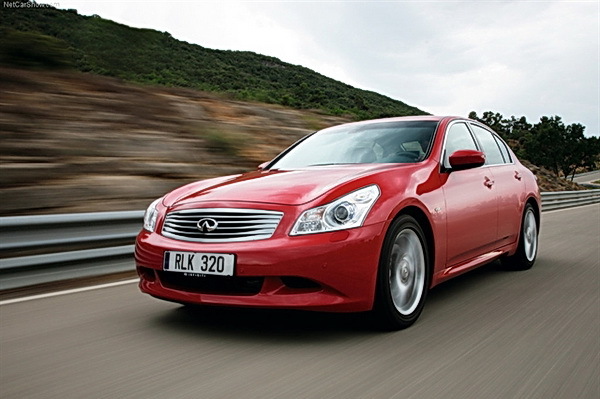 Let there be no doubt, the G37 is a good drive if slightly more relaxed than its German brethren. However, Infiniti’s blend of price, styling and features make it the standout of this class. The Honda Accord has set the standard for mid-sized sedans for over 30 years and the 2009 edition does nothing to diminish this legacy. 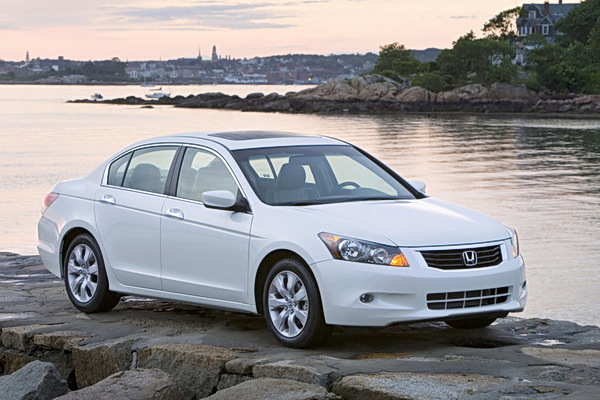 Completely redesigned in 2008, the current Accord effortlessly combines practicality, reliability, performance, and style. Seeking to please a wide range of buyers, Honda offers a choice of 4-cylinder or V6 engine, and manual or automatic transmission. In any configuration, the Accord provides both outstanding performance and class-leading fuel efficiency, and continues to prove that fine automobiles don’t need to cost a ton of money.